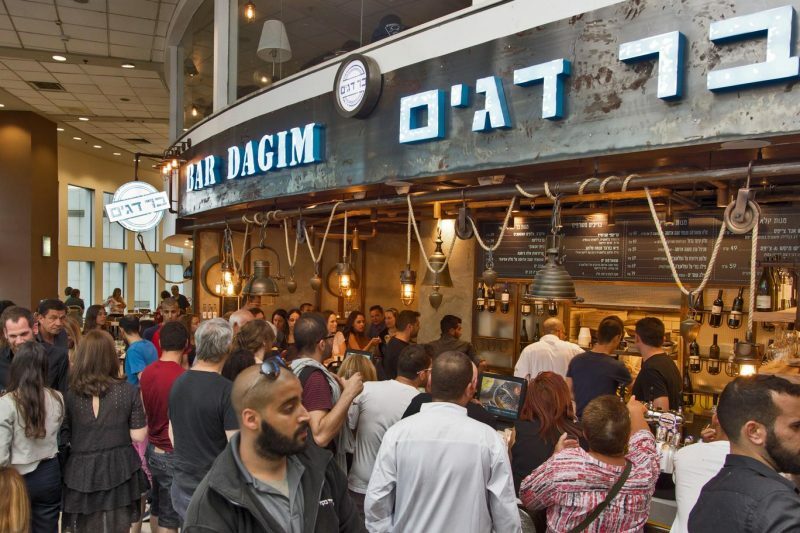 Bar Dagim in the Azrieli Mall, Israel has finally gone kosher. The specialty fish restaurant is serving up fresh fish and beer to diners looking for a delicious meal. 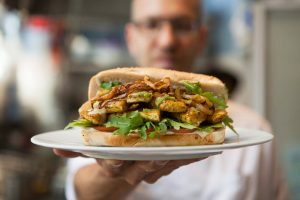 The kosher eatery also has live shows and bands, so it’s a one stop shop for a meal and entertainment. Bar Dagim’s menu items include shwarma salad with red tuna, tuna tataki, fish and chips, crispy fish, anchovy gnocchi, red tuna schnitzel, and other unique dishes. Hours of operation are Saturday-Thursday 12pm-10pm, and Friday 11am-4pm. Bar Dagim is certified by Rabbanut.